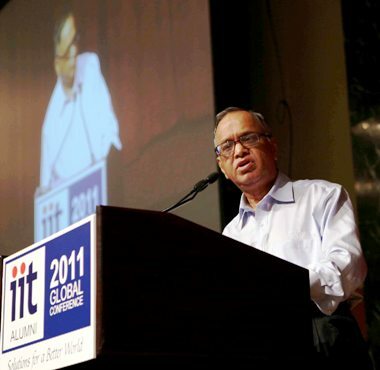 The National Association of Software and Services Companies (Nasscom) on Saturday welcomed re-appointment of N R Narayana Murthy as Infosys Executive Chairman, saying his insights into the company and the technology industry would be valuable. "Mr Murthy is an iconic leader who has played a key role to shape the Indian technology industry and we welcome him in his role as Executive Chairman, Infosys", Nasscom said in a statement. "His guidance and strategic insights to Infosys as well as for the industry would be valuable as the industry focuses on its next phase of evolution and growth". Murthy recently chaired the Nasscom 2020 Organisational and Governance Committee and his leadership, commitment, inclusive and collaborative approach helped to define the strategic approach for Nasscom, the statement said. "We look forward to work more closely with him in his role as Executive Chairman, Infosys to address industry challenges and build new opportunities", it said. What you MUST know as an engineering student!